I was thinking about whether the-npc-on-your-horseback-thing would let you to do the Herbalist 9 without replaying that particular mission? Another thought - could you possibly do Horseman 9 on the mission as well? Can you stop to fish without failing? Curious as to how much you can theoretically get done as Arthur in my next play through. Yeah, been wondering the same. I know about the Bronte mission but want to get Arthur with all the top goodies in the camp below Rhodes. Before he gts sick-always pisses me off that games wait till the very end to open some of the top items when they are basically useless at that point. 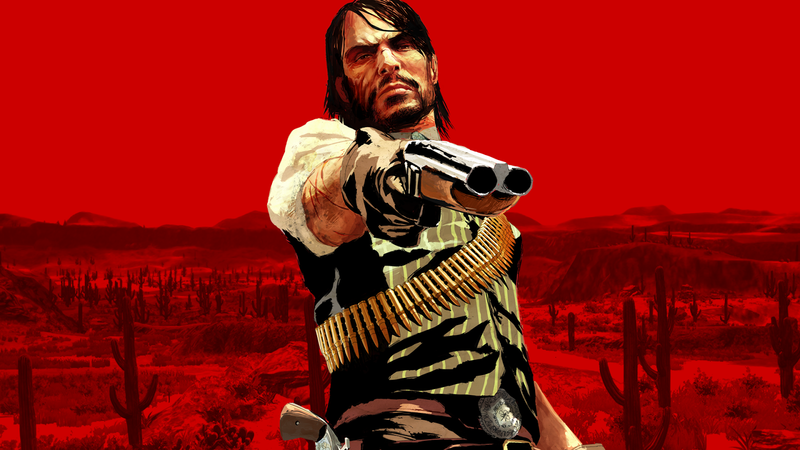 I have a save of RDR1 with John having all the good stuff just lacking one outfit only Jack can get-it simply does not open till after Jack becomes available. I use that Save to just ride around as John to hunt and such-be nice to have one with Arthur like that. You can do the ride to Blackwater as Arthur. Just use some tonics. I made it on my second attempt (on an arabian). 1. You can sit on the edge of docks. 2. You can set up camp from the item circle. 3. MacFarlane's ranch actually has one interior, which is a blacksmith barn next to what will be John Marston's safe house in RDR1. It has another too, you can enter and rob the cabin that would become the general store. There's usually a guy sleeping in there at night. I *think* in the Mission that you go shoot up Strawberry to bust what's his face out of Jail you can pick up a white hat from a Sheriff. I know I did at one point, it was definitely a "Good Guy" [[Sheriff]] just not sure if it's that Mission or maybe obne where I pissed off and had to kill 50 law officers by steaking a train or something-inside the Docs office where I had bodies piled up blocking the doorway. Thanks. But darn it. And I guess you can't buy stuff from the Blackwater tailor? Nope. Rockstar conveniently locks Blackwater shops on missions you can do this BUT unlocks them on missions you can't. During the mission "Jim Milton rides, again?" when John's in the barn just before he uses the shotgun it's pretty much how his artwork appears on Red Dead Redemption's front cover. Wow! Somebody has to confirm that they know this# If you stop and stand around listening to the trumpet player in Saint Denis you encourage others to enjoy it and eventually start a crowd for the guy. Haha. Amazing, I love this game! When Valentine goes on Lockdown all of the buildings become visibly boarded up. I had no idea before today there was a ghost (with a whole back story) in the bayou. Even Abigail isn't the perfect parent I thought she was. Theres a loot box with a letter in it from 1805 that explains what happened to the confederate gold. There can be disembodied voices at the old camps. 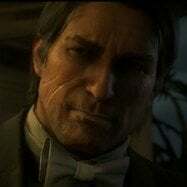 I went to Colter for the first time since the start of the game, and when I walked the horse in the barn, as the doors opened, there was the woman's voice saying something about "should have fed him to the animals" I damn near had to change my shorts, scared me half to death. Also when I went to the Adler ranch, there was a rabbit running along, and an eagle swooped down and caught it. So you gonna tell us where exactly we can find this loot box? When you wound an animal, it comes up as a white paw on mini up, however, when you wound an animal with a poisonous arrow, it comes up as a red paw. Oh is it? I had never seen a red paw before today, but when I was hunting I was using a poisonous arrow and it came up as a red paw on the map. I thought that was the reason. It was a Cougar though, he is a predator, so I think you are correct. Funnily after 300 hours of game time I had never seen one.